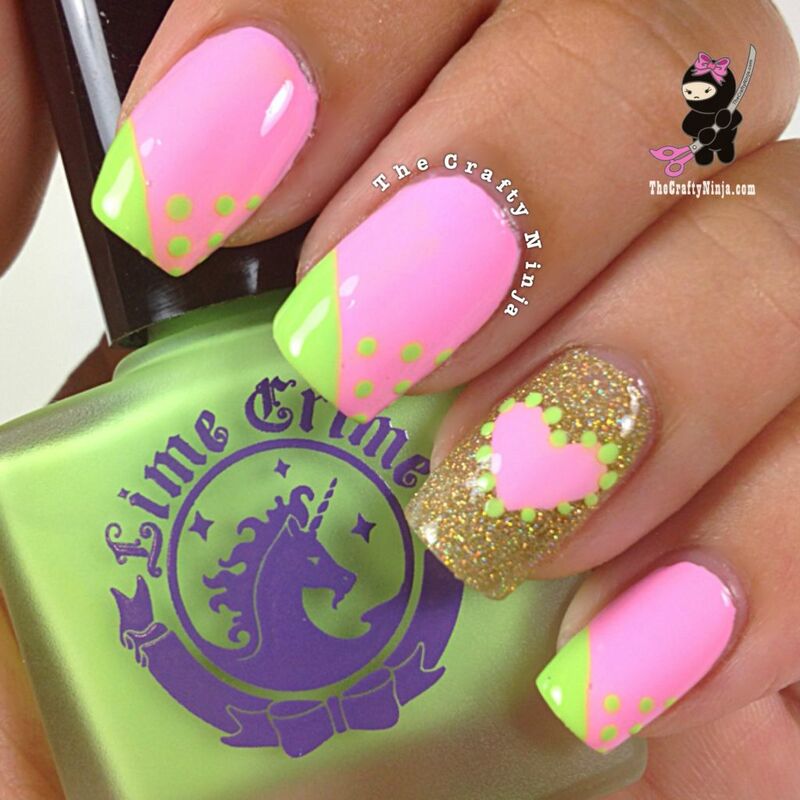 I love the bright neon pastel colors of Lime Crime Makeup nail polishes Parfait Pink and Pastelchio. The nail polish has a wide brush for easy application but the formula is so thick. It was not very easy to get a smooth application and I had to apply three coats to get a full coverage. But once on the colors are so vibrant and pretty! 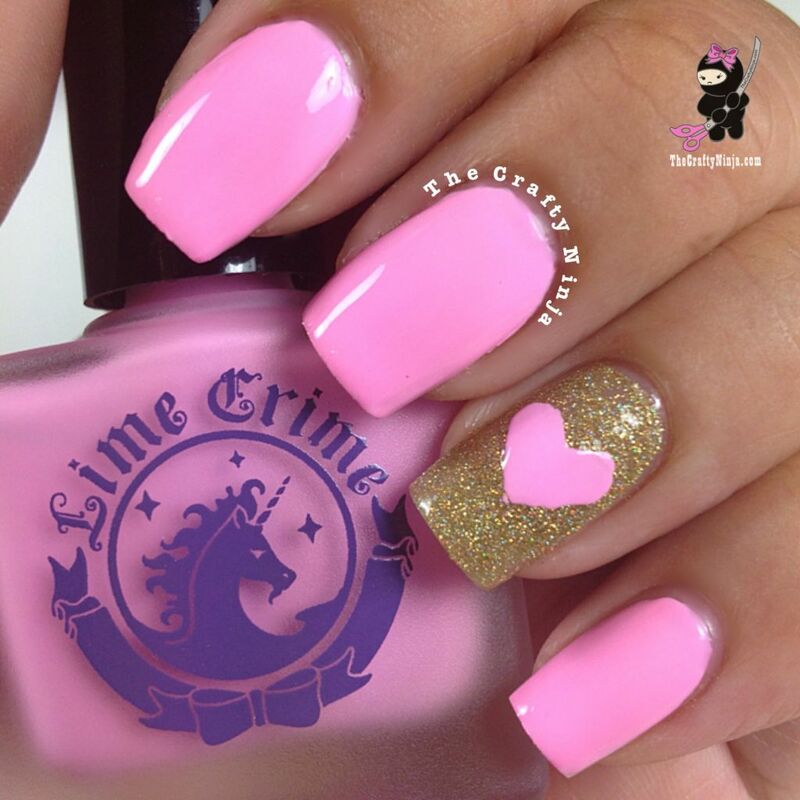 First to create this look I created a swatch of Lime Crime Parfait Pink, China Glaze Angel Wings on the accent nail, and Seche Vite Top Coat. To create the heart: Check out my Heart Nail Tutorial HERE.